Joey Harrington’s Battle at Bandon is a competitive, handicapped golf tournament involving current and former players and coaches from their respective PAC-12 universities. 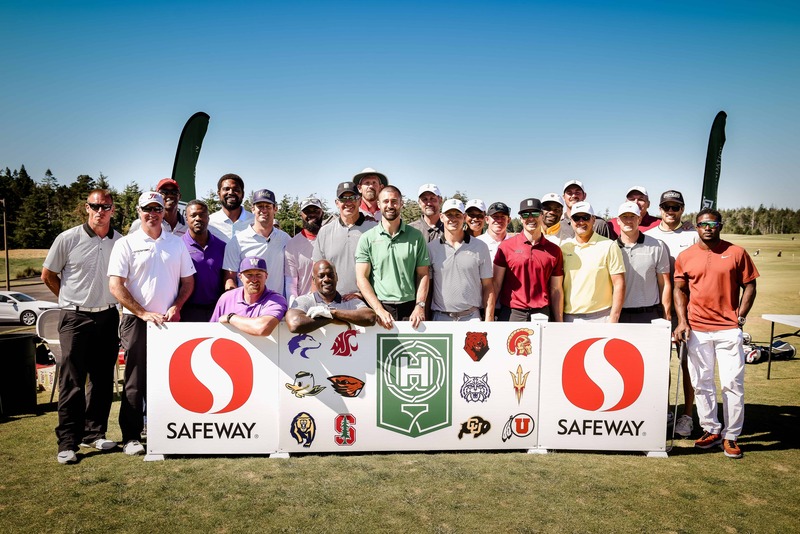 Each PAC-12 school is represented by a team made up of two celebrity athletes/coaches and two paying amateurs. The university teams are divided into two competitive groups made up of one athlete/coach and one paying amateur. These groups compete separately against two-man groups from the other universities in a total of four, 9-hole matches over the course of two days. At the end of the tournament “season,” each university will have accumulated a win/loss record from the eight total matches played. This determines the PAC-12 champion. For years you have watched your favorite athletes and coaches represent your university on the field and on the court. How many times have you wished you could be out there with them? Joey Harrington’s Battle at Bandon gives you that opportunity. This tournament is designed to give fans of college athletics a chance to compete with and against the stars that have graced their fields, courts and television sets. However, this isn’t your ordinary charity golf tournament! The Battle at Bandon is not a scramble, there are no mulligans to buy and you can’t play someone else’s shots. It is simply you and your partner representing your favorite university. Every shot counts in your quest to win the PAC-12 Championship!